When it comes to pest management in the Greater Sacramento area, there’s no better name than Earthwise! Fill out our contact form to get started. Have you ever hired a pest control specialist to get rid of a pest infestation, only for the pests to come back a few months later? 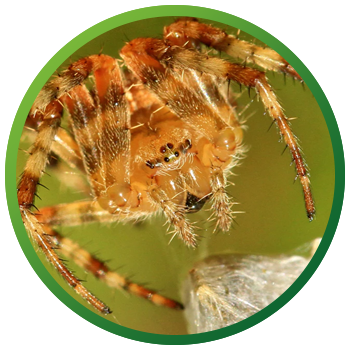 At Earthwise Pest Management, we don’t just spray pesticides and wait for you to call us again. We take a comprehensive approach to pest control that not only gets rid of the current infestation, but also prevents future infestations from invading your home or office. Keep reading to find out more about our pest control services in Sacramento, California! Are These Pests Bothering You? Give Us A Call! As your Sacramento pest control company, we are dedicated to providing pest management solutions that actually work. We use a method of pest control called Integrated Pest Management (IPM). IPM is a method of pest control that involves not only getting rid of a current infestation, but also preventing future infestations from invading your home or commercial building. We limit our use of pesticides in order to protect you and the environment. When you choose a pest control company that offers IPM, you are not only prioritizing your own safety, but that which also gets to the root of the pest problem. We do this by performing a thorough inspection of the property. We look for areas that might be attracting pests to the area such as food and water sources or humid basements. We also find not only why they are invading your space, but also how. Whether they are coming through cracks in the foundation or holes in the roof, we’ll identify these areas and create a plan to block them off. The best defense is a great offense, and that is exactly what we provide our pest management clients. Here in Sacramento, we experience a lot of different pests. From ants to rats and everything in between, your residential or commercial property can experience a number of pest problems, each of which require a unique treatment plan to garner long term results. Read below to learn about some of our Sacramento pest control services. Termites can cause immense amounts of damage to your home or commercial space. As they destroy wooden features in your home, they can make the structure unsafe to reside in. Unfortunately, termite infestations often go unnoticed for years or even decades. If you haven’t had a termite inspection in the last few years, we highly recommend having one of our Sacramento termite control specialists visit your property for a thorough inspection. It will either give you some peace of mind that there are no termites present or, if termites are discovered, we can begin treatment as soon as possible. Finding out you’ve been sharing a bed with a parasitic bug is enough to make anyone’s skin crawl. The thought of spraying your sleeping area with dangerous chemicals should be even scarier! At Earthwise, we use heat treatments to eradicate bed bugs. This involves heating the affected area to a temperature high enough to exterminate bed bugs and their eggs. If you notice signs of a bed bug infestation, such as waking up with itchy rashes or bites or rust-colored stains on your bed, call us for bed bug treatment in Sacramento right away. When it comes to rodent control, Sacramento residents know there is only one company to call: Earthwise. As your Top Rated Local® pest control company, we can identify why rodents are attracted to your property and how to eliminate the current infestation while preventing future ones. If we do set up traps, we will take care of monitoring and cleaning up traps so you don’t have to deal with anything yourself. We handle just about any pest problem you could experience. While we have specialized service for rodents, termites, and bed bugs, we also offer more general pest control services for bugs and insects that are invading your home or office. Whether you’re experiencing a problem with ants, wasps, mosquitoes, spiders, cockroaches, silverfish, moths, or a combination of all of those, we’ll be there. Our highly trained specialists are more than just your local exterminators. They are pest experts who can identify what type of creepy crawlies you are dealing with and how to best control that specific pest. In addition to residential pest control, we offer all of our services to commercial spaces as well. Whether you own a restaurant, an office building, a retail space, a warehouse, a government building, or some other commercial property, we can ensure that it remains pest free. If you are experiencing pests in your commercial property, make sure to contact your commercial pest management team at Earthwise. As Sacramento’s most trusted pest control company, you can feel extremely comforted in knowing we are beyond capable of handling your pest issue regardless of how large or small. Our pest technicians are vetted and trained so that you don’t have to worry about your property while we are visiting it. Want more reassurance that we are as good as we claim to be? Earthwise also has a stellar reputation online so if you are curious about the quality of service our customers receive, feel free to check out the reviews that our clients have written about their experience working with us. You may not have ever considered it, but getting rid of pest infestations takes a lot of time. This is time you could absolutely be using in other, more productive ways. Not to mention, this is what we are good at as professional pest control experts. We not only know how to get rid of pests, but we can do it quickly. When you choose to handle a pest problem on your own, the likelihood of it taking the first time around is slim to none. However, when you hire Earthwise Pest Management, you don’t have to spend your time worrying or going through the motions of trying to eliminate pests. Instead, we will take care of everything for you. Is there truly any place you like to be more than in the comfort of your own home? We didn’t think so. However, this becomes increasingly harder to do when there is a pest infestation in your house. Knowing there are pests just out of sight makes relaxing in your house extremely difficult. However, once the professional pest experts get rid of the bugs or rodents that are plaguing your home, you can guarantee you will enjoy your time at home a lot more. With over 200 5-star reviews, you can count on Earthwise pest Management to provide stellar service regardless of the size or scope of the pest problem. We pride ourselves on letting our work speak for itself and never pressure our customers to lock themselves into a long-term contract. We offer long-term pest control by using the best pest management methods, not by getting your signature on a contract. To experience our service for yourself, make sure to give us a call or fill out our contact form and let us know about your Sacramento pest control needs. Click the pests that are "bugging" you!